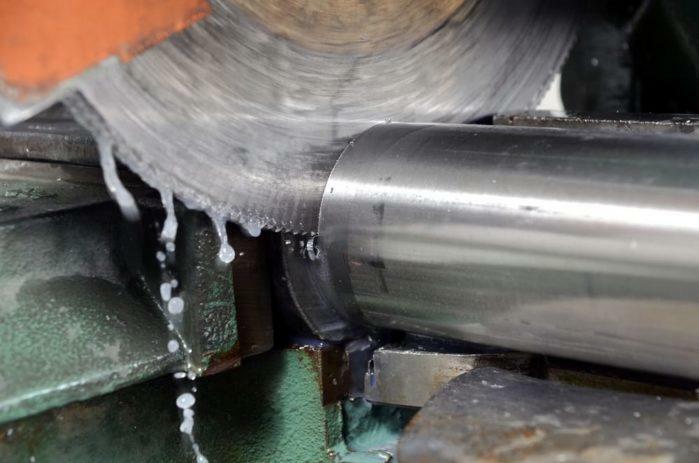 see, the proper way of cutting stainless steel will still depend on the thickness and size of the steel you want to handle. For thin stainless steel, which is less than a quarter of an inch, you may use a circular saw with durable metal blades. But, for the thick steel, you may need such a more powerful tool as a plasma cutter. 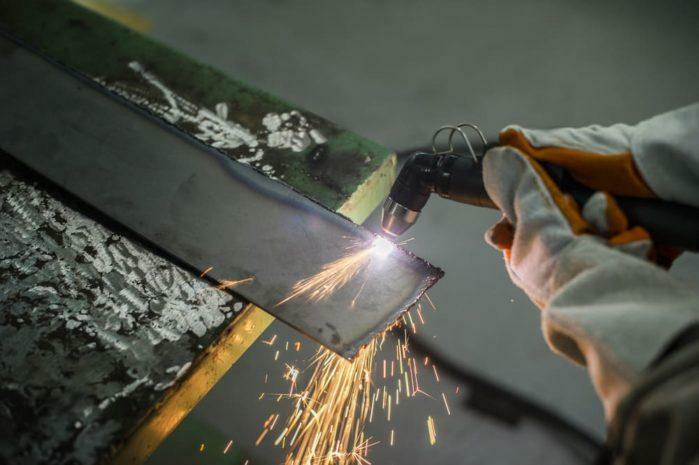 Plasma cutters have to utilize an intense heat to lice through a thick stainless steel effortlessly. So, before you plan to cut your stainless steel, you must be aware of its thickness. Also, you have to select the right tools for the job and follow the methods below to cut your stainless steel with ease. 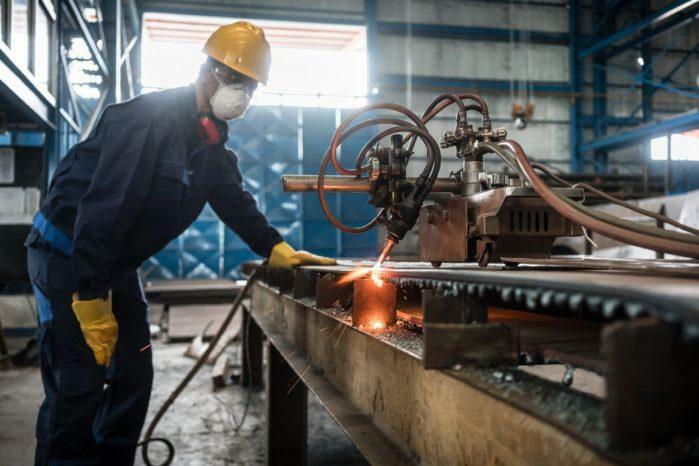 Remember that slicing metal will require you to have a stable and durable workplace. Also, it should be away from any items which catch fire quickly. 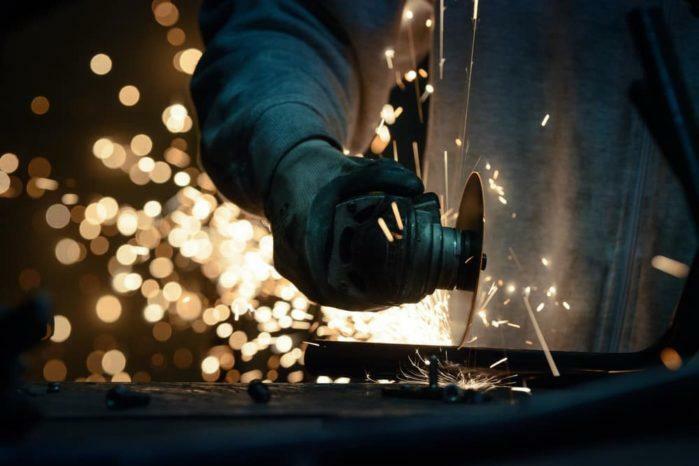 As you sever through the steel, take note that sparks will fly around the area. So, the least you can do is to keep these flashes away from people and things in a safe working condition. The first thing you have to do is to put the steel on top of the plywood. It will make the cutting process smooth and easy. Then, connect the metal blade into the circular saw. Get a steel marker to label the area on the metal that you want to slash. Wear your protective goggles and cut along the marked part using the blade of your circular saw. You have to make the entire edges of the steel smooth. Only with an electric file can you do that. Before you use the tool, you need to put on the face shield. Remember that the cut-off saw will often produce sparks that can lodge to your face. You may get a steel marker to make a shape of what you want to cut in your steel. Put the blade into the right area where you want to slash the stainless steel. Slice the steel gently. However, you should avoid hindering the function of your cut-off saw. Lastly, you need to make the tips of the metal smooth using your file. You have to assemble your plasma cutter based on the guidelines provided. You need to assess if you have set up the right air pressure and you must have a compressed and clean air supply. Create a line in the spot where you want to cut the stainless steel using a marker. Wear the face shield, long-sleeve top, and gloves to make the process safe. Find the area where you want to create a hole in the stainless steel. Place the drag cup on the plasma cutter. The drag cup will make everything easy; especially in maintain a consistent dimension of the steel. Locate the spot in the steel with the plasma cutter positioned 60 degrees. Gently twist the cutter so that it is in a vertical position. Steadily yet slowly move the cutter over the markings on the steel. The plasma cutter will create a clean and even cut. But, if you will that a part of the edges of the steel needs to become smooth, then you should use an electric file for this step. Take note that a plasma cutter will produce a more seamless cut than the cut-off saw or circular saw. But, you have to be very careful that your hands remain steady during the process for a straight cut. When you plan on shearing the metal, you may need to get a traditional press or guillotine tool. But, it should have a down-rated function of about 40 percent than the carbon steel rating. Cutters and blades should be well-adjusted with the tips kept sharp. So, you have to avoid dragging them over the metal because it may lead to a more challenging work. Also, you should follow similar considerations in using the nibbler to slash shapes in your steel. Every process may be the same mechanically because each becomes an extension of the shearing process. The punches and dies and the machines used must have the right rigidity and power to make the procedure effortless. In blanking, you need to take note that clearance has to be enough and you need about 5 percent stainless steel thickness each side. Too much removal often leads to the dragging of the metal, which may result to burrs. 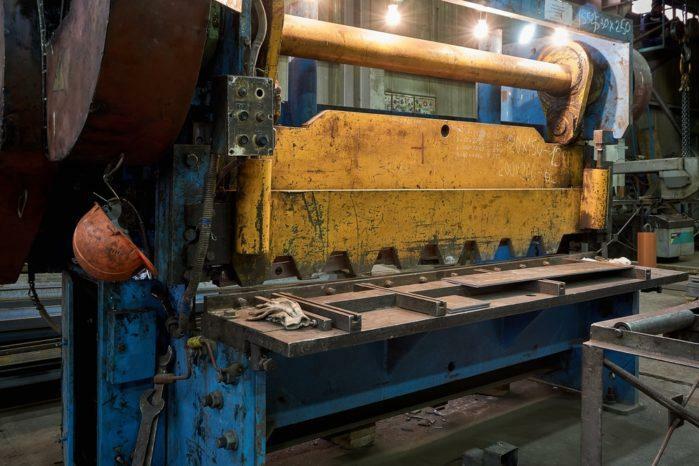 In punching and piercing, the gap sizes should not fall less than one and a half times the thickness of the steel thickness. To prevent excessive deformation, the distance between the holes should not be less than a half of the diameter of the gaps. When slicing the metal, it is crucial that you wear a protective device for safety. Be careful not to touch the tips of the steel before you make them smooth. They can be sharp enough to cut your skin. Out of all these tools, the plasma cutter will offer your stainless steel the smoothest cut. Once you master the techniques in cutting steel, you may begin making more complicated patterns and shapes. Also, you may use these ways to slice other metal, including brass, aluminum, and copper. When it comes to slicing stainless steel, there are a few ways that you may opt to use. We have provided some of the most efficient methods above. Some of the techniques may be more difficult than the other. However, as mentioned earlier, you need to determine the thickness of the stainless steel before you get too excited to sever the steel. Good luck with the entire process!